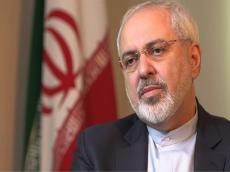 Iranian Foreign Minister Mohammad Javad Zarif condemned a recent attack by “extremists” against a military parade in Iran’s southwestern city of Ahvaz, stressing that Iran will “respond swiftly and decisively”. “Terrorists recruited, trained, armed & paid by a foreign regime have attacked Ahvaz. Children and journalists are among casualties. Iran holds regional terror sponsors and their US masters accountable for such attacks. Iran will respond swiftly and decisively in defense of Iranian lives,” Zarif said in a message posted on his Twitter account on September 22. Several people have been killed after unknown gunmen opened fire during a military parade in the city of Ahvaz on Saturday morning. Saturday's attack killed at least ten members of the IRGC and wounded 20 people, including a woman and child, according to the Iranian state-run IRNA news agency. Ali Hossein Hosseinzadeh, deputy governor in Khuzestan province, said that two attackers had also been killed and another two were arrested.